FREE IS MY LIFE: Hey Kids! 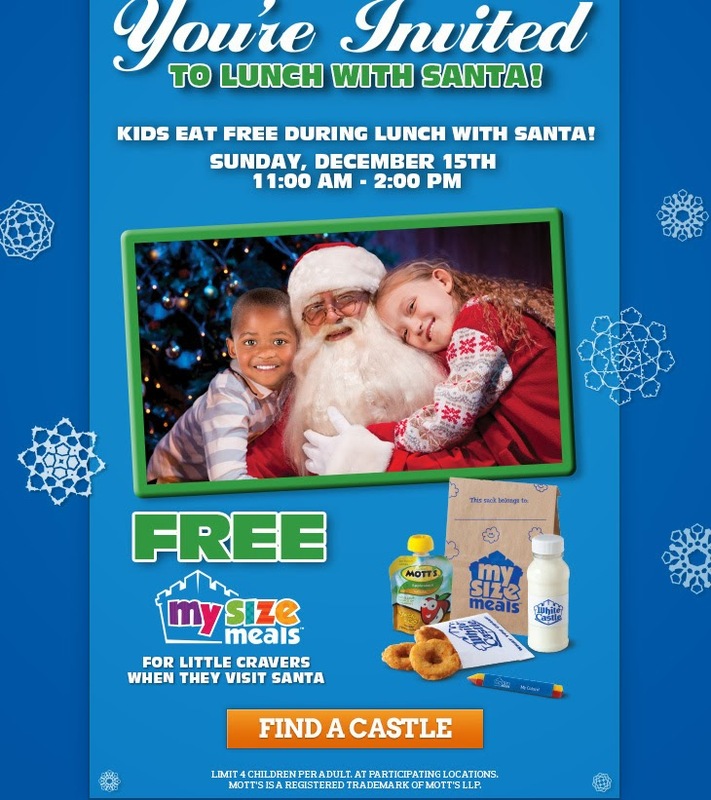 Who wants FREE Lunch with Santa at White Castle on Sunday 12/15? Hey Kids! Who wants FREE Lunch with Santa at White Castle on Sunday 12/15? 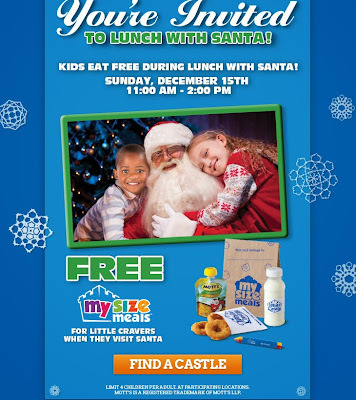 Visit a participating White Castle location on Sunday, December 15th between 11am and 2pm and your kids can have a FREE My Size Menu Lunch with Santa.